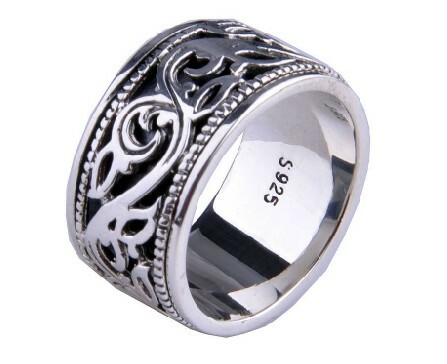 Lucky Ring Good Luck Symbols Ring Silver Spinning Ring! ! ThisÂ lucky spinning finger ring was handmade with good luck symbols from sterling silver in Thailand.Â It is believed that wearing the spining ring can change your bad luck and bad situation to be good luck and good situation.